New England takes step in right direction with win over Tampa Bay. TAMPA, Fla. — It’s one game. 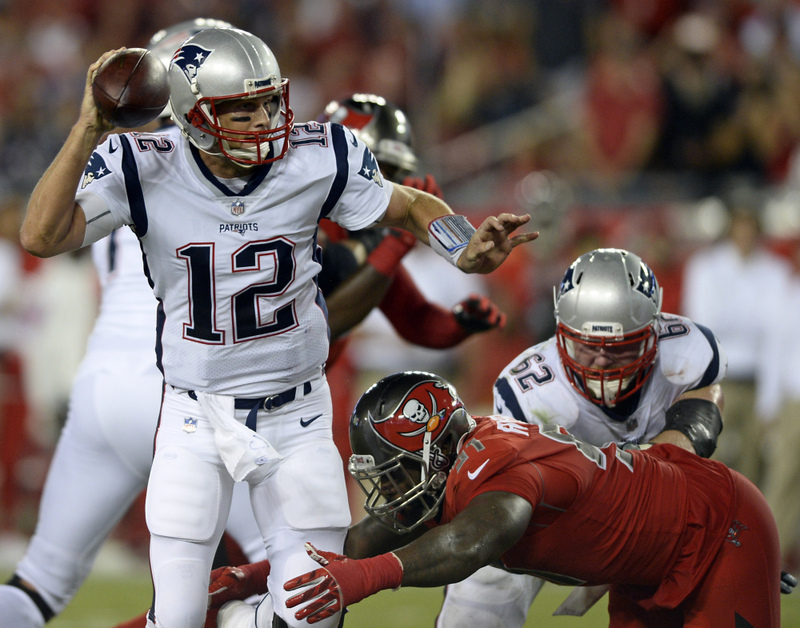 But for New England’s porous defense, holding off the Tampa Bay Buccaneers 19-14 was a step in the right direction. “We didn’t play perfect,” safety Devin McCourty said after Thursday night’s victory. The Patriots (3-2) entered the prime-time matchup on pace to set a NFL record for yards allowed in a season. They’d also yielded 32 points per game during their worst start since 2012, and the Bucs looked a team that might be able to take advantage of their defensive shortcomings. Jameis Winston threw for 334 yards and one touchdown without an interception , but most of that production came in the fourth quarter. Nick Folk hindered the young quarterback’s effort to come from behind in the fourth quarter for the second straight week. The veteran kicker missed two field goals and an extra point before beating the New York Giants with a kick as time expired last Sunday. This time, Folk missed a 56-yarder just before halftime, a 49-yarder on the second play of the fourth quarter and a 31-yarder that would have pulled the Bucs within six points with 5:36 remaining. Winston, however, insisted he was to blame. He threw an 18-yard TD pass to Cameron Brate to trim Tampa Bay’s deficit to 16-14 with just over two minutes left, and nearly led his team downfield to win after Stephen Gostkowski kicked his fourth field goal to put the Patriots up by five. With two seconds remaining, Winston took a snap and threw incomplete down the middle for O.J. Howard. The Patriots held the third-year pro to 109 yards passing through three quarters. Winston threw for 225 yards and his seventh TD of the season in the final 15 minutes. Tom Brady, meanwhile overcame his first interception in the past eight regular seasons games and a sack/fumble. Neither turnover led to points and the New England quarterback noted the defense had a lot to do with that. “I wish we could have scored more points offensively, but the defense really held their own,” Brady said. Brady, playing without injured star tight end Rob Gronkowski (thigh), threw for 303 yards and one TD. And with his 186th career regular-season win as a starter, the five-time Super Bowl champion tied Brett Favre and Peyton Manning for the most by a quarterback in NFL history. He also has 25 postseason victories. Bucs RB Doug Martin provided a lift in his return from a suspension for violating the NFL’s policy on performance enhancers with 74 yards rushing and one TD in his first regular season game since last Dec. 18. Since 2003, New England is 44-6 in regular-season games following a loss. The Patriots have dropped back-to-back games only six times during that time span – in 2006, 2009, 2011, 2012 and twice in 2015. As a starter, Brady is 44-10 in games following a loss.